Two hearts likes to offer lots of fun all year round ,so when we get to Christmas we like to try to make it the best one you have had. We have so much to offer please take a look at what we can offer. 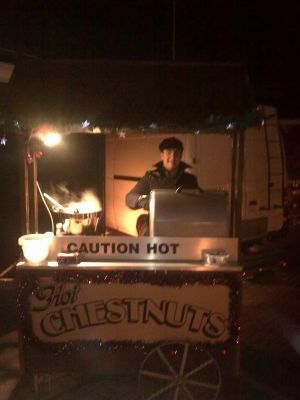 New for 2011 donut trailer/pop corn stall. Hot chocolate with or with bailey and with whipped cream, flake and chocolate shavings. Make a Santa - includes Santa's body, arms & legs all that's required to make the colour your own Santa. 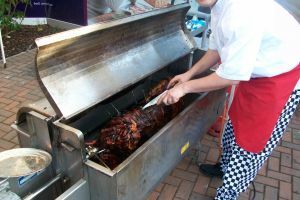 We can also offer homemade soup and a roll either from our catering trailer or from are soup cart or roast turkey cooked on the hog roast in a roll with stuffing and cranberry sauce or even a full chriatmas dinner. 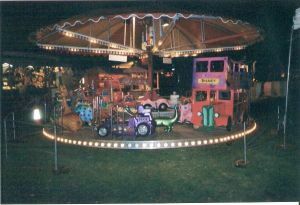 All items can come under a small marquee which will be Christmas themed with fairy light and tinsel and staff. We cover Essex, London, Kent, Suffolk, Hertfordshire and Norfolk.. Please ask if not your area is not listed here we will go to most places. If you book now for your Christmas event we have some good deals. Please call craig on 07951 209195/01255 420759. We also like to make your new years eve event go with a bang with our Rides, Castles, Catering, Glass hire, Disco and much much more. FOR MORE OFFERS PLEASE CALL AND ASK FOR CRAIG.